This high impact clear plastic slanted sign holder is designed to display A6 size signs. 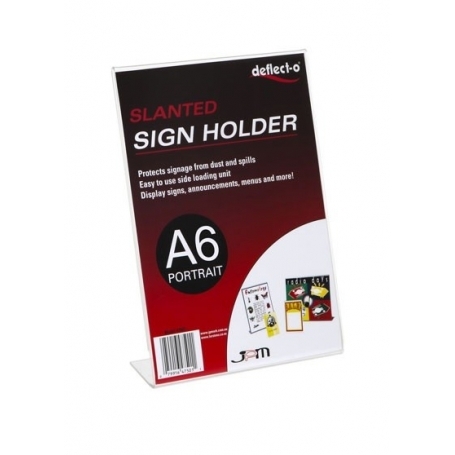 Ideal for displaying menus, price lists, brochures, flyers or business details. Keeps your sign display clean from dust and spills.